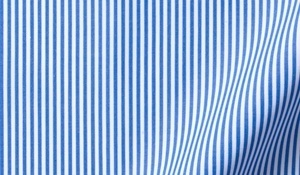 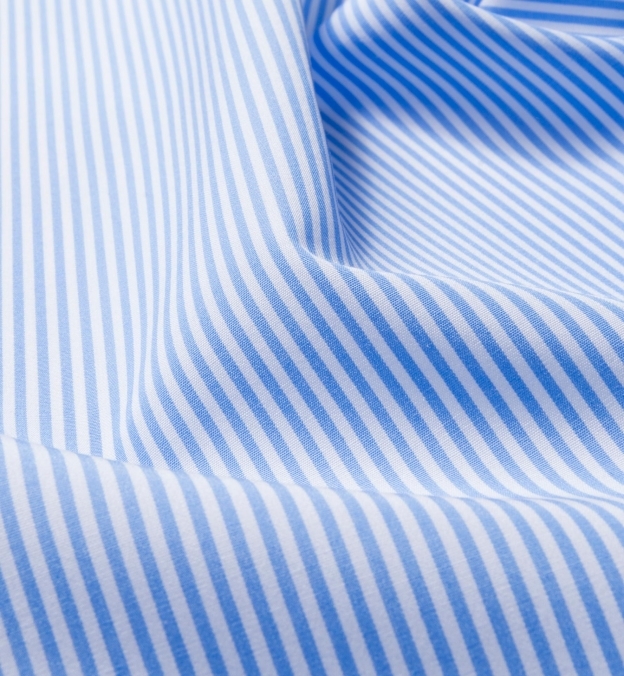 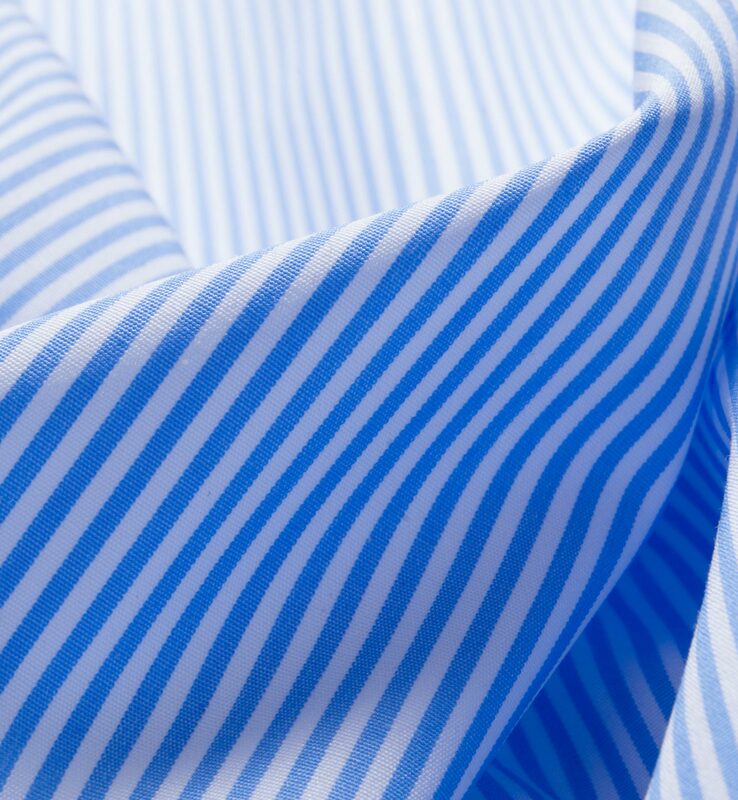 A timeless business stripe that’s surprisingly versatile even outside of the office. This broadcloth has a luxurious 140s thread count for a smooth, crisp handfeel and is finished with a light wrinkle resistant treating to keep you looking sharp through the work day. 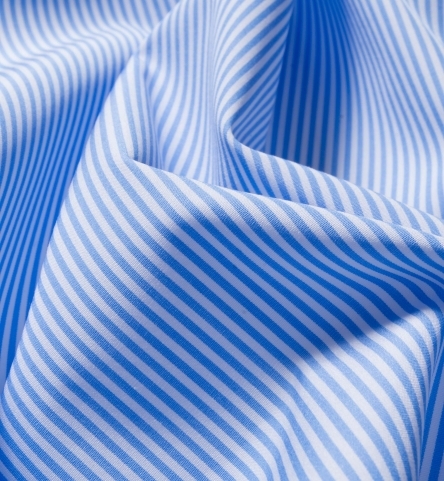 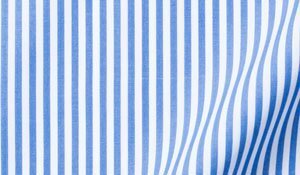 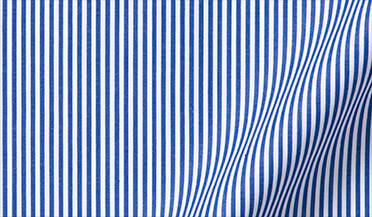 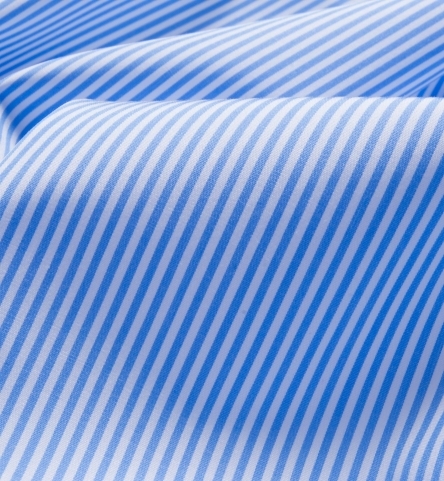 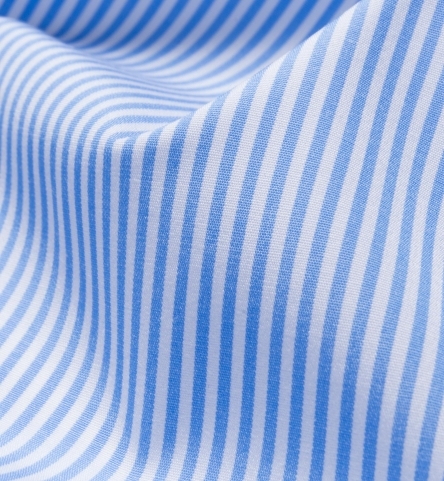 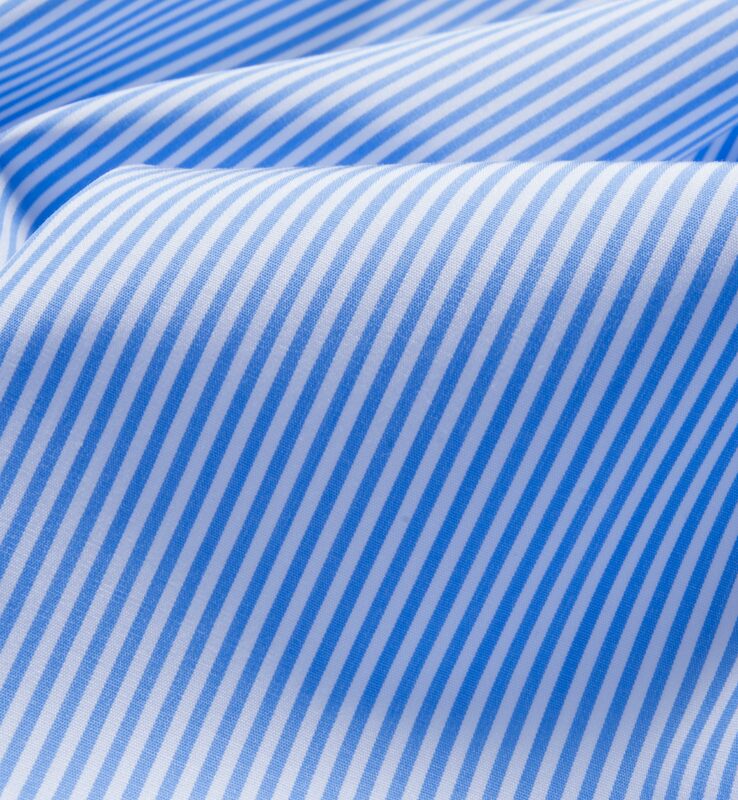 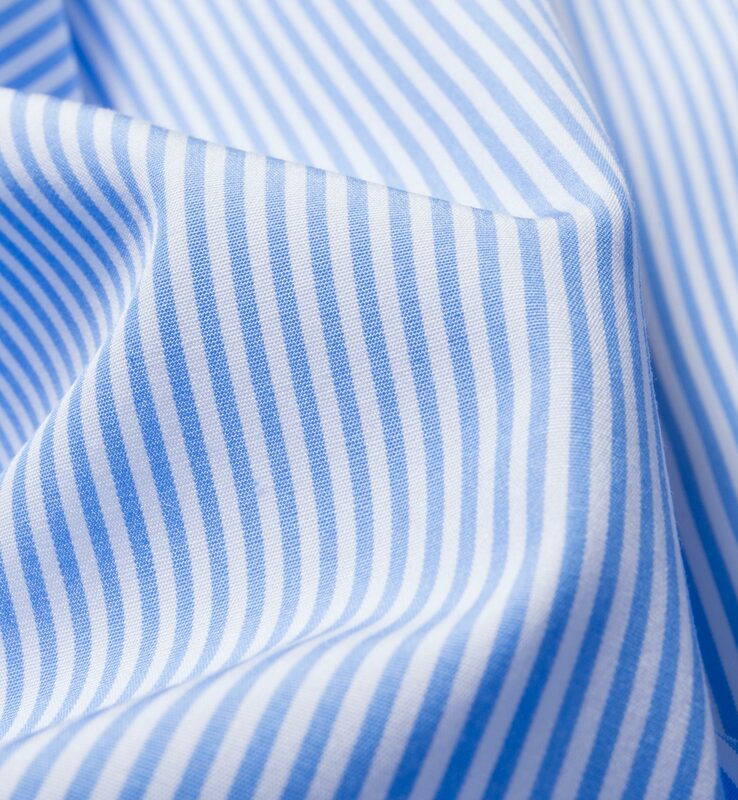 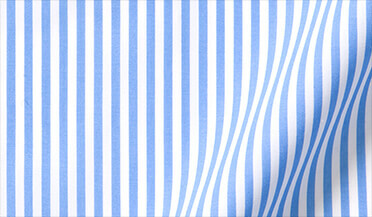 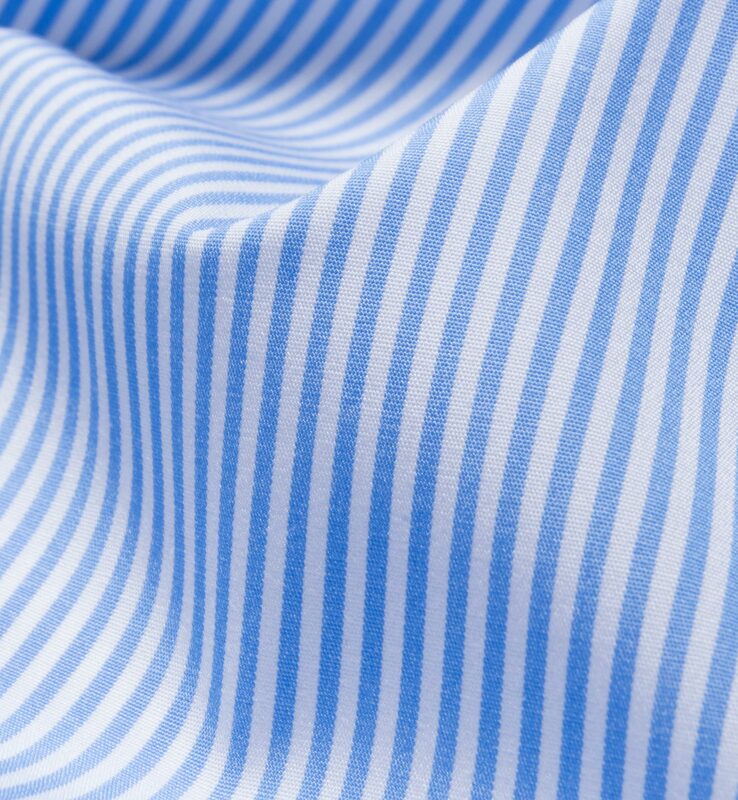 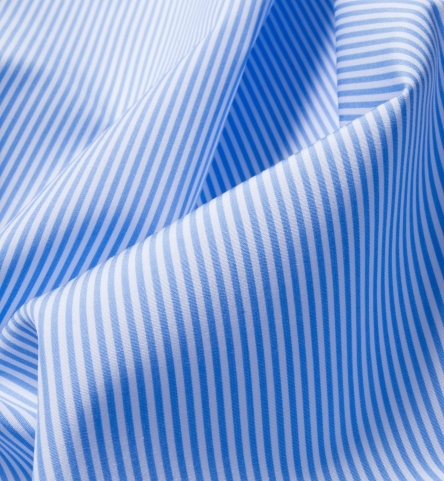 A light blue pencil stripe is slightly less bold than its mid-blue and navy counterparts and is remarkably easy to wear. 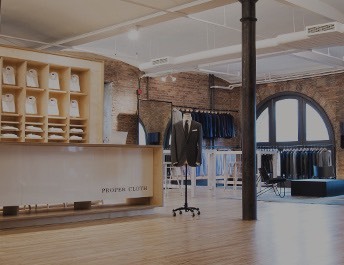 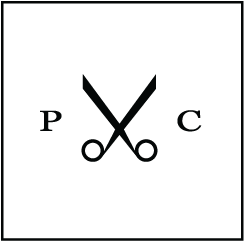 While it looks incredible with a suit and tie, we love it outside of a business setting under an unconstructed sport coat with jeans or done up with a little Italian flair under a more colorful jacket with light colored trousers. 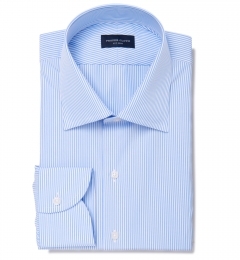 You really can’t go wrong with any of our President or Roma collars on this one. Go with a contrast collar and cuffs for that classic, Wall Street vibe.